Sunil Gavaskar is the most successful opening batsmen world cricket has seen. He accrued runs through a flawless technique and disciplined concentration. His defense was so perfect that it was virtually unbreachable. He had a knack for picking the line and length of delivery and played the full range of cricket shots equally well off the front and back foot. 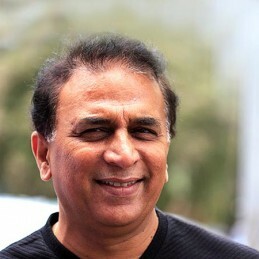 Until Sachin Tendulkar recently overtook him, Gavaskar had the world record for the highest number of Test hundreds. Gavaskar taught his teammates the value of being professional and as such the birth of modern Indian cricket began under his tutelage. Following his retirement, Gavaskar has been an in-demand commentator, columnist and analyst. He has also held roles with the Board of Control Cricket India and served as the chairman of the ICC cricket committee. Alongside Australian cricket great Allan Border, Gavaskar has been honoured in the naming of the ,, the Test series played between the Australian and Indian teams.